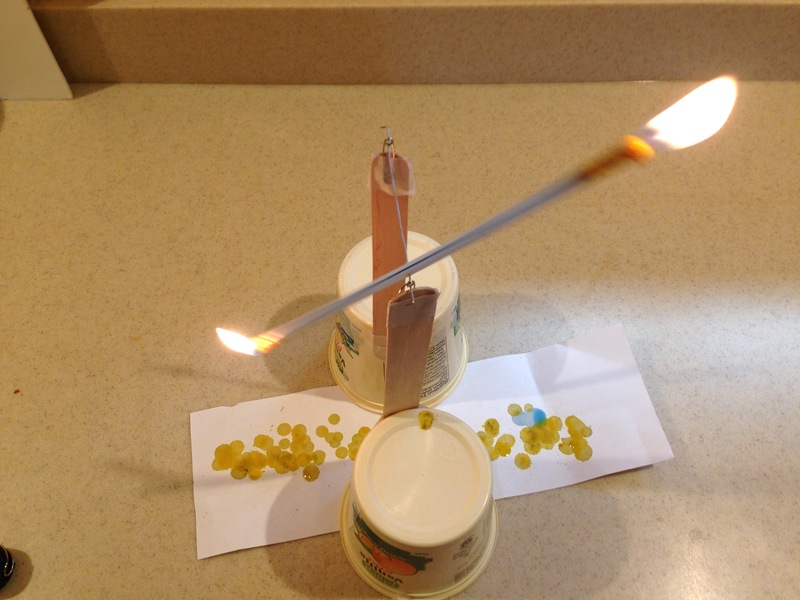 Make a see saw from burning candles. Tape the safety pins to the popsicle stick supports, with the small hole facing upwards. Make sure they are at the same height. Push the candles in the ends of the straw. Find the balance point of the straw. Poke the straightened paper clip through the straw, then balance between the small holes in the safety pins. Turn the end of the straight wire so that it does not fall out of the safety pins. 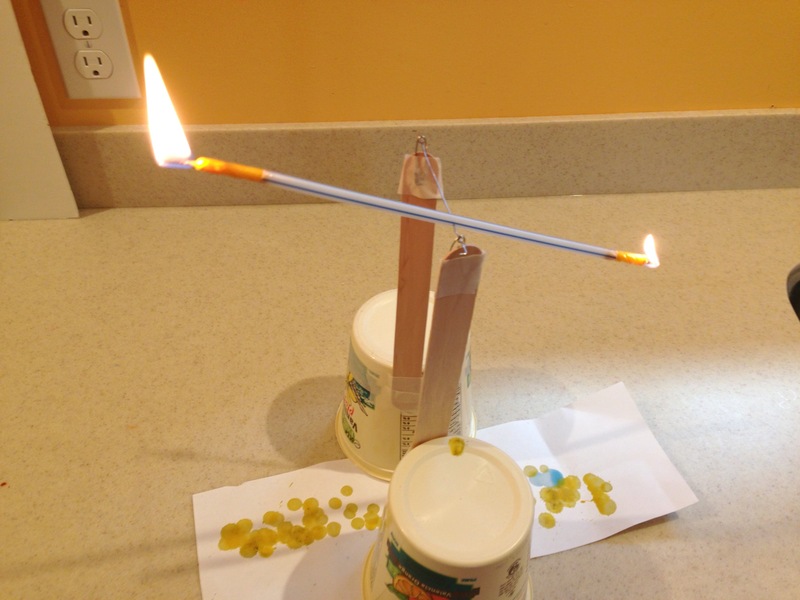 When both candles are lit, they will see saw as wax drips from one then the other and their weights change. The see saw will spin all the way around too.